Chris is imprisoned on Federal drug charges and faces a 90-year mandatory minimum sentence for being a medical marijuana caregiver. 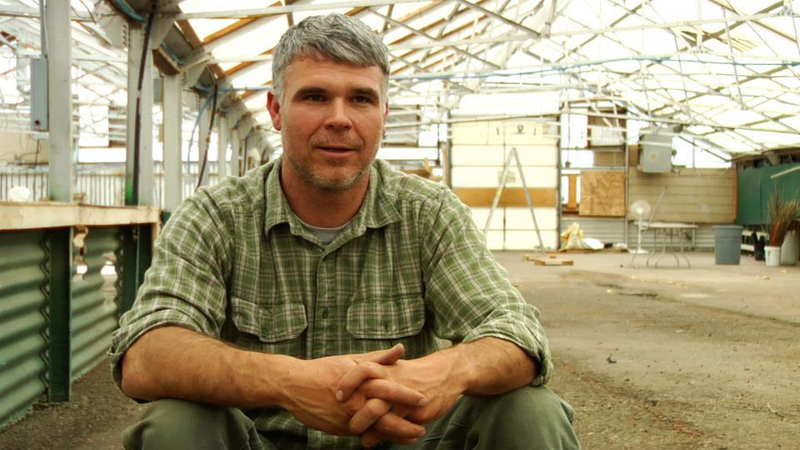 He co-owned Montana Cannabis - a company that provided low-cost, high-quality medicine to about 300 patients who were authorized to use cannabis under Montana law. Chris has a hearing coming up on November 7th, where a Judge will decide if he should be released pending appeal. Chris's public defender has also filed a motion for acquittal and re-trial. Please sign our letter to Judge Christensen, asking him to carefully consider all of the options at his disposal. Thank you! Sitting here in Crossroads Correctional Center in Shelby, Montana, it might be hard to believe how thankful I am. I enjoy my mornings every day, sitting in a peaceful awareness. I focus on this world inside prison with an open mindfulness. After some time of thought of nothing in particular, I am overwhelmed by gratefulness, gratitude and thanks. Although life in prison is no walk in the park - we have fights, stabbings, suicide attempts and guards being attacked and that is just in my first month - I still find many reasons to be thankful. Your letters and support are the things I appreciate the most. As I strive to face the struggle ahead, to know I have support and people out there who keep me in their meditation and prayers, strengthens my resolve to do what is right. THANK YOU! Please continue to spread the word and continue to call and write your leaders. We can all work together to correct the injustice of our current legal system. 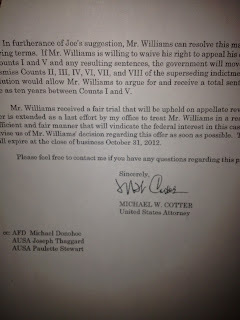 I recently received a letter from U.S. Attorney Michael W. Cotter. The Department of Justice made me another offer, as an effort to treat me "'in a reasonably sufficient and fair manner that will vindicate the federal interests in this case." The government's latest offer would require that I serve a minimum of 10 years in prison, pay a $288,000 monetary judgement upon my release and agree to supervision requirements that would continue for years after my prison term. This is nothing more than slavery and completely disregards my rights as a citizen of the United States of America. I have declined the offer. The most positive aspect of this offer is proof that your letters and phone calls are creating change. Once again, thank you, and please call again, write again and have your friends and family call and write again. Tell the Department of Justice that imprisoning me will not "vindicate" the citizens interest in this case. There are many options for relief that are acceptable, but a lengthy prison sentence is not one of them. Criminal and civil litigation is currently working its way through the Federal court system on multiple states rights issues. Just a few of the high-profile cases include healthcare (medical marijuana), second amendment rights and campaign contribution limits (Citizens United). --Oral arguments in the 9th Circuit Court of Appeals are expected in my civil lawsuit on 10th amendment grounds, citing rights and powers reserved to the states. I have joined with fellow Montana caregivers operating lawfully under State medical marijuana laws to challenge the Federal raids that destroyed our legitimate businesses and the subsequent criminal prosecutions that arose as a direct result. --My criminal appeal will be headed for the 9th circuit as well, where other medical marijuana cases (both criminal and civil) are also pending. --In addition to these cases, the Montana Shooting Sports Association has filed a lawsuit which also awaits review in the 9th Circuit Court of Appeals. It involves the "Made in Montana" gun law, which is in direct conflict with Federal law. --Arguments have also been recently heard on Citizens United, regarding whether campaign contribution limits violate first amendment rights. Steve Bullock, Attorney General of Montana, has actually filed several lawsuits regarding the constitutional issues raised by court rulings on Citizens United (which has the potential to greatly impact Bullock's current candidacy for Governor of Montana). Most recently, Bullock sued to stop Gubernatorial opponent Rick Hill from spending a $500,000 donation that would violate Montana's campaign limits, which have been upheld on a stay by the 9th circuit court of appeals. 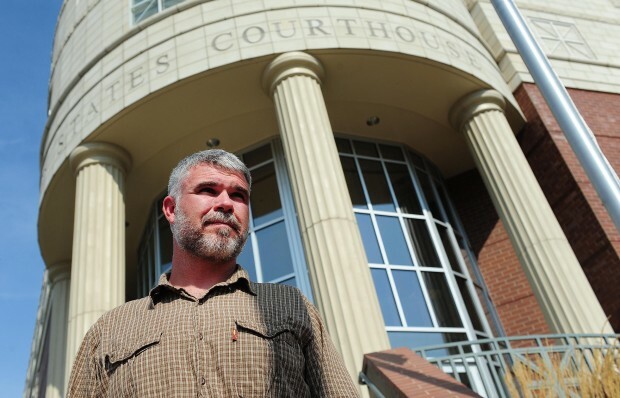 First amendment rights to freedom of speech are also at stake when deciding the constitutionality of the Federal raids and criminal indictments in Montana. The United States Government did not want medical marijuana patients and caregivers to have a voice in our State Government. As a result, state and local law enforcement officers took part in the Federal raids in March of 2011, which directly impacted the decisions being made by our State Legislature. In fact, at the very same time that the raids were underway, lawmakers on the Senate Judiciary Committee were voting on a bill to entirely repeal the Montana medical marijuana law. The panel failed to pass the measure that day, but just two weeks after the well-timed and highly-publicized raids, the Legislature revived the repeal bill and sent it to the Governor's desk. The raids not only impacted the actions by the Montana Legislature, but also had a direct effect on silencing state lobbyists and advocates. 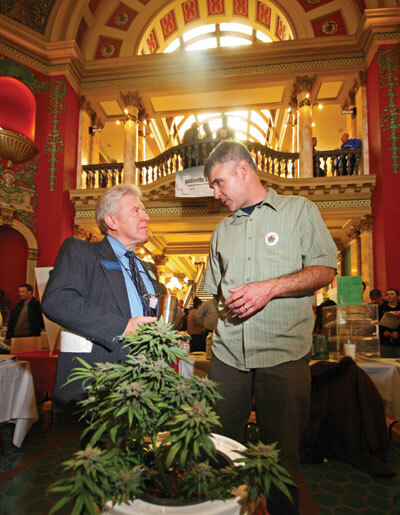 Montana Cannabis co-owner (and co-defendant) Tom Daubert is one of the lead authors of Montana's medical marijuana law. He has publicly denounced the raids, calling them "calculated and political on the part of the Federal Government." Daubert has said he thinks "all Montanans, regardless of agreement or disagreement on medical marijuana, should unite in condemning the Federal government for intruding in this way at this critical decision-making moment." If you would like to take action, please contact U.S. Attorney General Eric Holder and ask him why the policy he set forth along with President Obama - in which they vowed not to prosecute medical marijuana caregivers in "clear and unambiguous compliance" with state law - is not being upheld in states that authorize the legal use of medical marijuana. 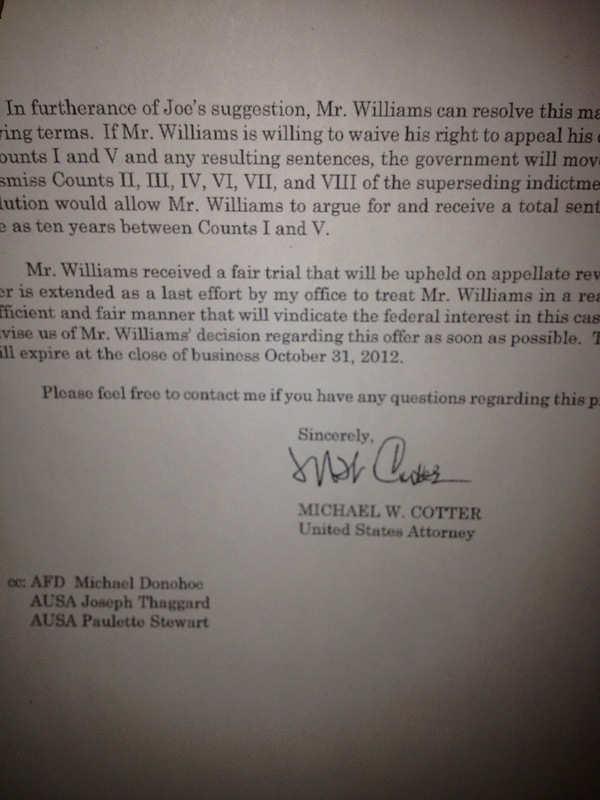 Your letters to Michael Cotter, U.S. Attorney for the District of Montana, are also appreciated. Please let him know that fellow Americans are challenging him to uphold the U.S. and Montana Constitutions in his ongoing decisions to proceed with criminal prosecution in my case. Please also get in touch with Montana Attorney General and Candidate for Governor Steve Bullock. Ask him why he challenges the Federal government for usurping states rights on issues like campaign contribution limits and gun rights for medical marijuana patients, but ignores the blatant violations of constitutional rights in the case of the Federal raids on medical marijuana caregivers like myself. Write, email and call President Barack Obama. Ask him why he continues to fail to deliver on his campaign promises to not use limited Justice Department resources to circumvent State medical marijuana laws. Explain how the Department of Justice at this very moment is expending extensive resources to prosecute and imprison state-compliant medical marijuana caregivers like me. Please contact outgoing Montana Governor Brian Schweitzer as well. Tell him to take a stand for the constitutional rights of Montana and its citizens, just before he leaves office. After years of hard work and many trials, the investment of hours of labor and overcoming many obstacles, I sit now in complete admiration and respect for my former partners, all our staff members and the patients at Montana Cannabis. We tried our very best to do everything the right way. Our goal was to do nothing less than establish a "gold standard" for operation as a legal medical marijuana caregiving company. With time to reflect and find a new perspective, I acknowledge some errors. My dedication to Montana Cannabis cost me relationships, friendships, the loss of valuable time with my son. During our last year of operation, five patients and one staff member passed away. They are all still in my thoughts daily. 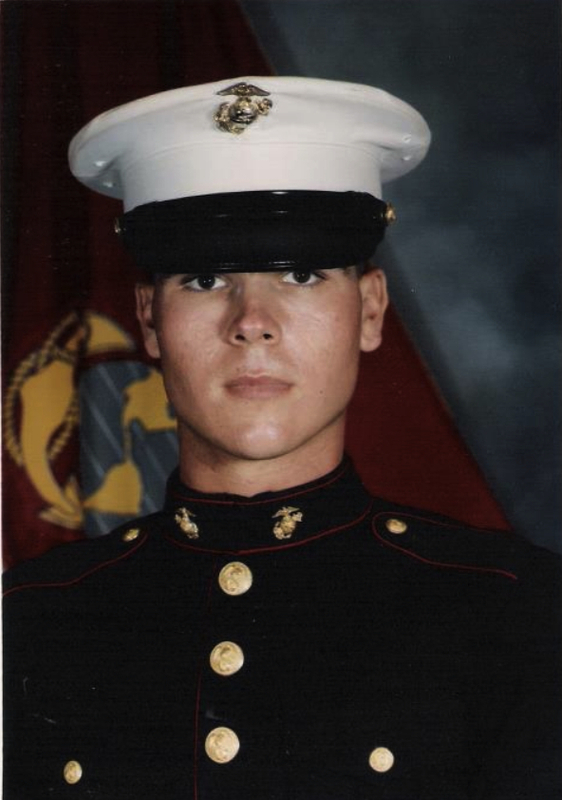 I am thankful for my life and the ability to fight for what is right, even though it could ultimately lead to my death in prison. Thanks to all of you for helping to support me during this struggle and thanks to everyone that was involved in Montana Cannabis.